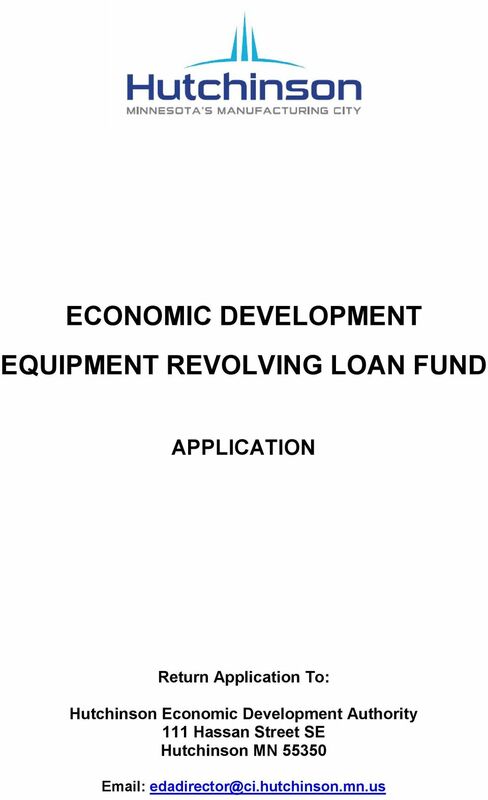 Download "ECONOMIC DEVELOPMENT EQUIPMENT REVOLVING LOAN FUND"
2 Adopted: 3 December 2008 Overview The Hutchinson EDA Economic Development Equipment Revolving Loan Fund is a quick-response, low documentation loan program for businesses either located in, or relocating to, the City of Hutchinson. Funds are available for machinery & equipment only. The Loan Criteria provided on the following page of this application detail the general terms of the Economic Development Revolving Loan Fund. 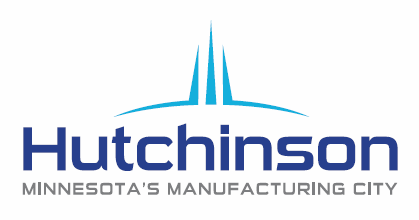 The purpose of the fund is to provide quick and easy equipment financing for Hutchinson businesses. 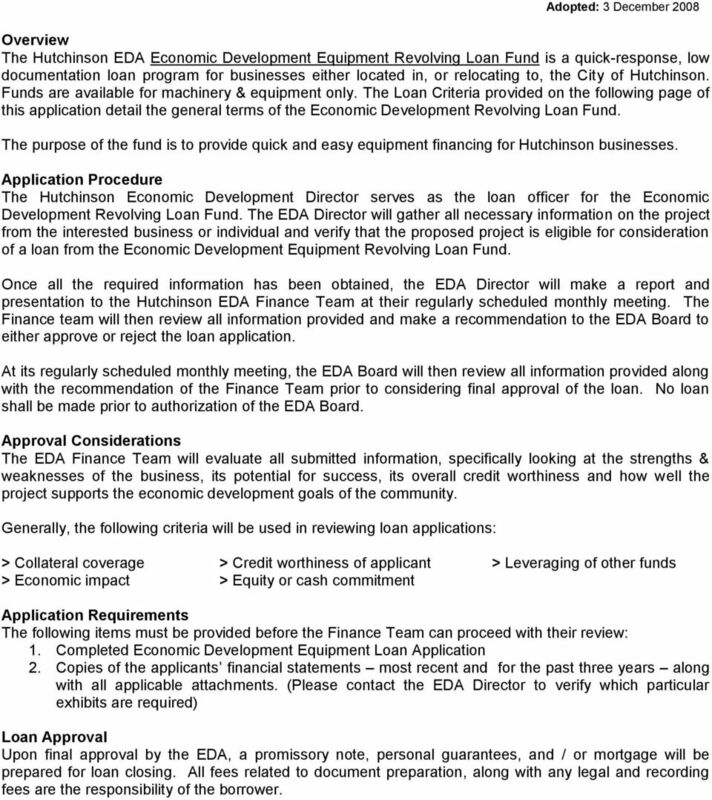 Application Procedure The Hutchinson Economic Development Director serves as the loan officer for the Economic Development Revolving Loan Fund. The EDA Director will gather all necessary information on the project from the interested business or individual and verify that the proposed project is eligible for consideration of a loan from the Economic Development Equipment Revolving Loan Fund. 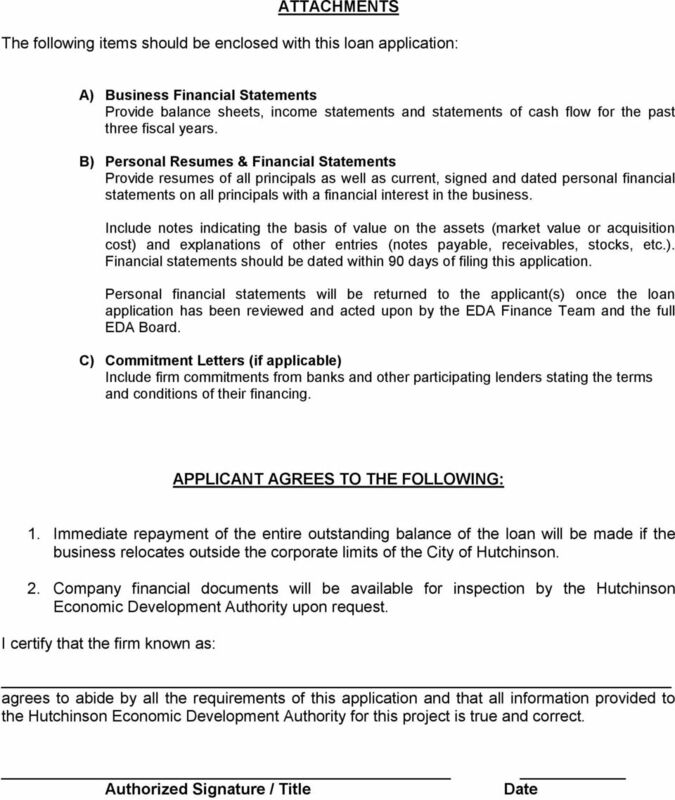 Once all the required information has been obtained, the EDA Director will make a report and presentation to the Hutchinson EDA Finance Team at their regularly scheduled monthly meeting. The Finance team will then review all information provided and make a recommendation to the EDA Board to either approve or reject the loan application. At its regularly scheduled monthly meeting, the EDA Board will then review all information provided along with the recommendation of the Finance Team prior to considering final approval of the loan. No loan shall be made prior to authorization of the EDA Board. Approval Considerations The EDA Finance Team will evaluate all submitted information, specifically looking at the strengths & weaknesses of the business, its potential for success, its overall credit worthiness and how well the project supports the economic development goals of the community. 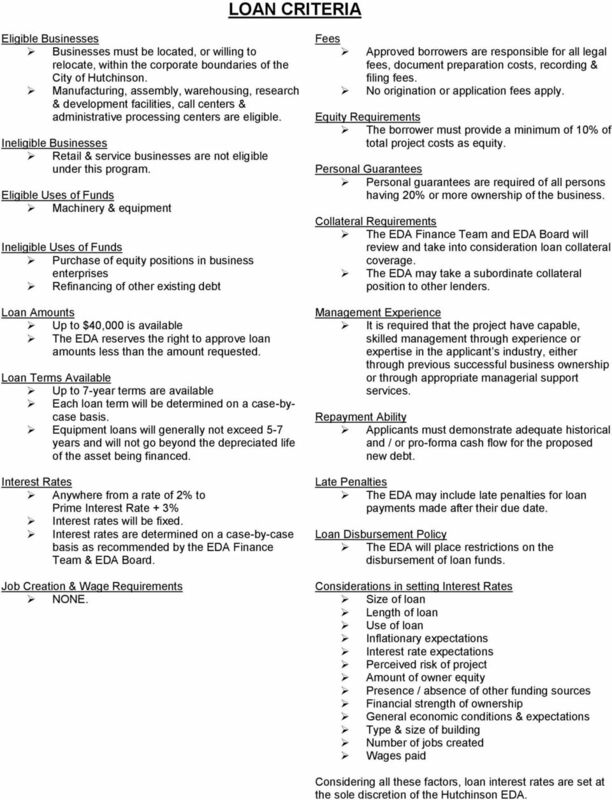 Generally, the following criteria will be used in reviewing loan applications: > Collateral coverage > Credit worthiness of applicant > Leveraging of other funds > Economic impact > Equity or cash commitment Application Requirements The following items must be provided before the Finance Team can proceed with their review: 1. 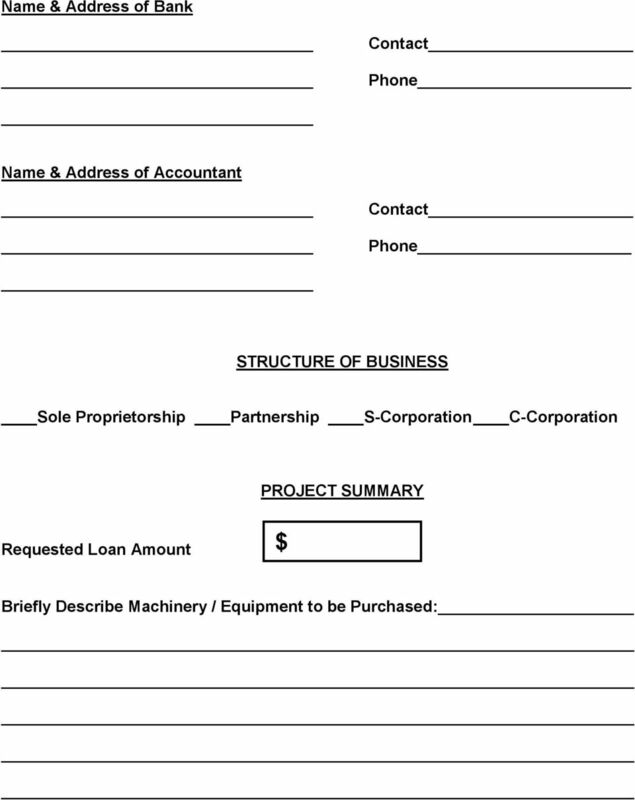 Completed Economic Development Equipment Loan Application 2. Copies of the applicants financial statements most recent and for the past three years along with all applicable attachments. (Please contact the EDA Director to verify which particular exhibits are required) Loan Approval Upon final approval by the EDA, a promissory note, personal guarantees, and / or mortgage will be prepared for loan closing. All fees related to document preparation, along with any legal and recording fees are the responsibility of the borrower. 3 LOAN CRITERIA Eligible Businesses Businesses must be located, or willing to relocate, within the corporate boundaries of the City of Hutchinson. Manufacturing, assembly, warehousing, research & development facilities, call centers & administrative processing centers are eligible. Ineligible Businesses Retail & service businesses are not eligible under this program. Eligible Uses of Funds Machinery & equipment Ineligible Uses of Funds Purchase of equity positions in business enterprises Refinancing of other existing debt Loan Amounts Up to 40,000 is available The EDA reserves the right to approve loan amounts less than the amount requested. Loan Terms Available Up to 7-year terms are available Each loan term will be determined on a case-bycase basis. Equipment loans will generally not exceed 5-7 years and will not go beyond the depreciated life of the asset being financed. Interest Rates Anywhere from a rate of 2% to Prime Interest Rate + 3% Interest rates will be fixed. Interest rates are determined on a case-by-case basis as recommended by the EDA Finance Team & EDA Board. Job Creation & Wage Requirements NONE. Fees Approved borrowers are responsible for all legal fees, document preparation costs, recording & filing fees. No origination or application fees apply. Equity Requirements The borrower must provide a minimum of 10% of total project costs as equity. Personal Guarantees Personal guarantees are required of all persons having 20% or more ownership of the business. Collateral Requirements The EDA Finance Team and EDA Board will review and take into consideration loan collateral coverage. 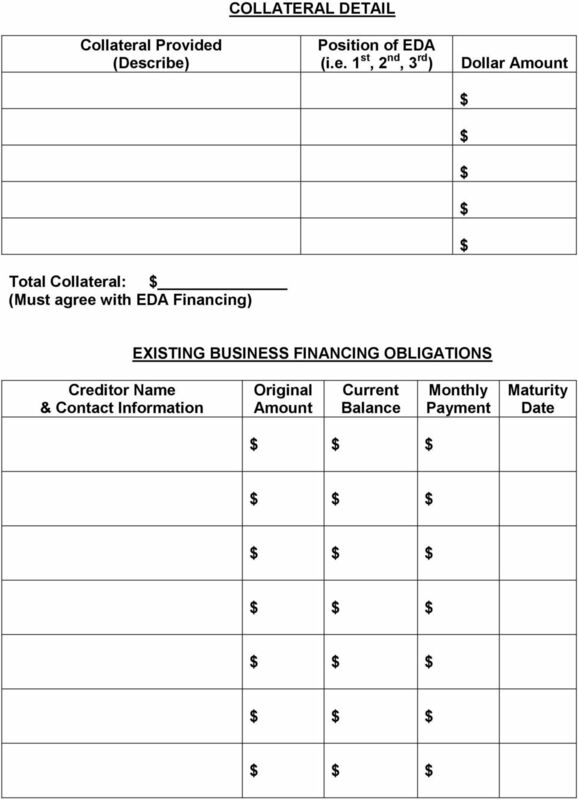 The EDA may take a subordinate collateral position to other lenders. Management Experience It is required that the project have capable, skilled management through experience or expertise in the applicant s industry, either through previous successful business ownership or through appropriate managerial support services. Repayment Ability Applicants must demonstrate adequate historical and / or pro-forma cash flow for the proposed new debt. Late Penalties The EDA may include late penalties for loan payments made after their due date. Loan Disbursement Policy The EDA will place restrictions on the disbursement of loan funds. Considerations in setting Interest Rates Size of loan Length of loan Use of loan Inflationary expectations Interest rate expectations Perceived risk of project Amount of owner equity Presence / absence of other funding sources Financial strength of ownership General economic conditions & expectations Type & size of building Number of jobs created Wages paid Considering all these factors, loan interest rates are set at the sole discretion of the Hutchinson EDA. 4 APPLICANT INFORMATION Business Name & Address Phone Number Fax Number Address Business Internet Address Federal Tax ID # Name & Address of Business Owner(s) 1. Title % of Ownership SSN 2. Title % of Ownership SSN 3. 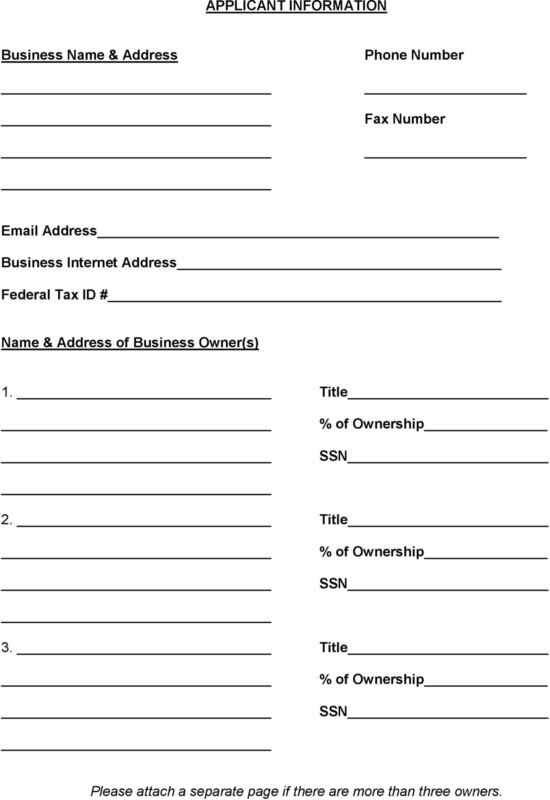 Title % of Ownership SSN Please attach a separate page if there are more than three owners. 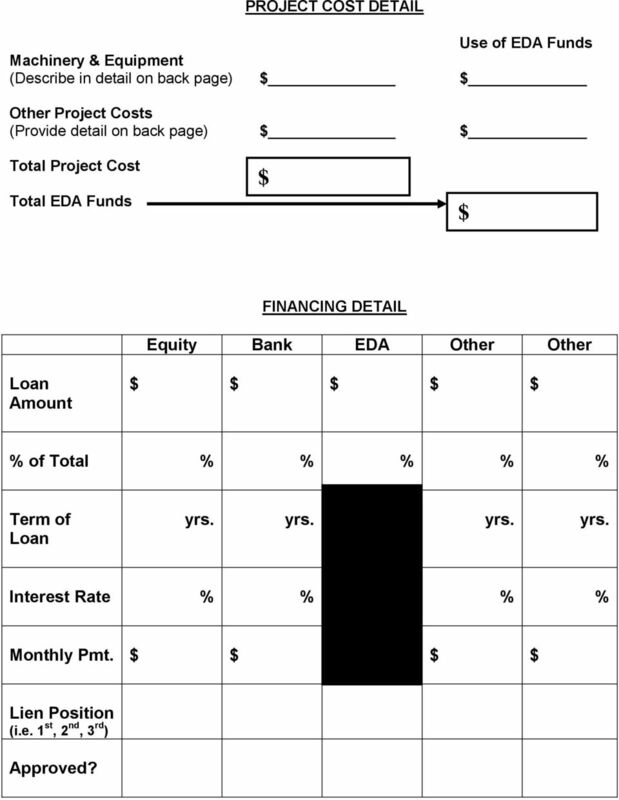 6 PROJECT COST DETAIL Use of EDA Funds Machinery & Equipment (Describe in detail on back page) Other Project Costs (Provide detail on back page) Total Project Cost Total EDA Funds FINANCING DETAIL Equity Bank EDA Other Other Loan Amount % of Total % % % % % Term of Loan yrs. yrs. yrs. yrs. Interest Rate % % % % Monthly Pmt. Lien Position (i.e. 1 st, 2 nd, 3 rd ) Approved?